a. Distilled water ($1) – The reason for distilled water is to avoid any chemical reactions from your tap water, etc..
d. Ultrasonic Cleaner from Chicago Electric, Item: 3305 ($65) or another unused jewelry cleaner of your choice. 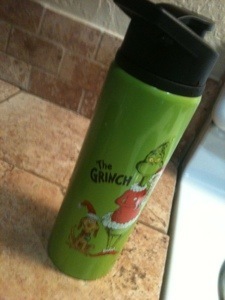 This one holds two cups of liquid total. 1. 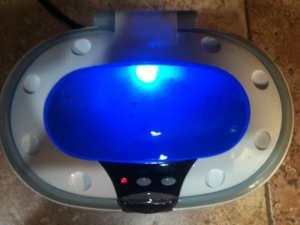 One cup of distilled water and one spoon of Vitamin C and placed into ultrasonic cleaner bay. 2. One cup of distilled water and three spoons of Lecithin into water bottle. 3. 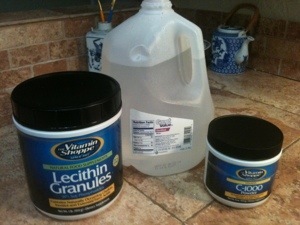 Shake Lecithin and water vigorously in water bottle. 4. 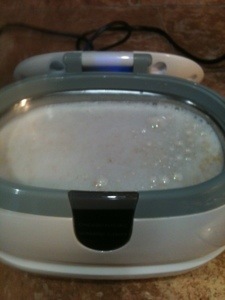 Pour Lecithin mix into the ultrasonic cleaner bay with the Vitamin C.
6. 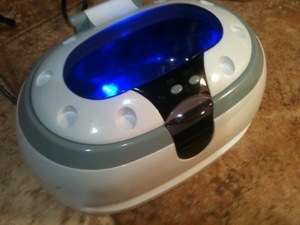 Turn Ultrasonic Cleaner on for 6 to 8 minutes, repeat stirring. 7. 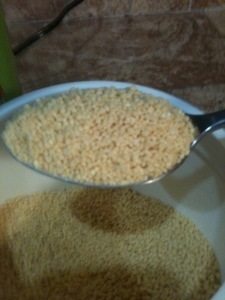 This process was to ensure Lecithin binds with the Vitamin C for metabolization. 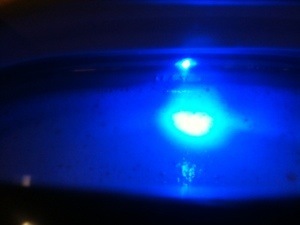 If it had been improperly mixed prepare multiple visits to the bathroom. 8. 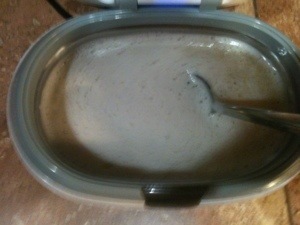 The final product that was produced appears as a frothy milky soup. 9. 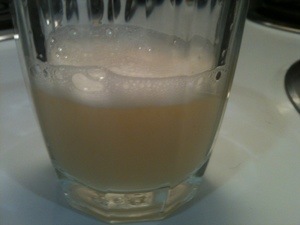 Direct consumption of final product has been possible but, most folks require drink with a mixer of 50/50 ratio (i.e. orange juice or apple juice). For an oncoming cold, one cup in the morning and one cup in the evening had seemed adequate defense. 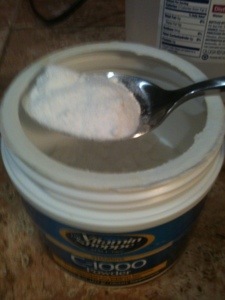 Shortly after consumption, there was an inability to fall asleep because vitamin C metabolizing into H2O2. This entry was posted in Health, Science and tagged health, Science, Supercharged Liposomal Vitamin C. Bookmark the permalink.